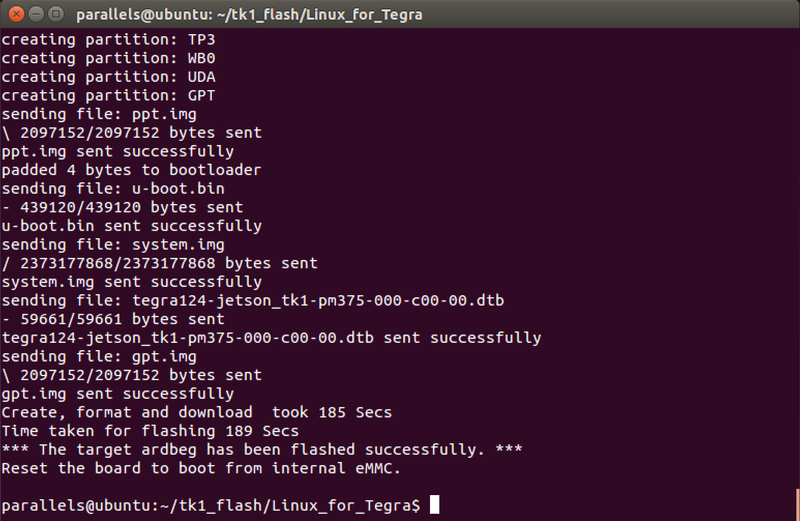 The following steps will provide instructions on how to re-flash your Jetson TK1. > You have a host machine running Linux. USB Micro-B cable connecting Jetson TK1(J1E1 USB0) to you Linux host for flashing. (Not included in the developer kit) To connect USB peripherals such as keyboard and mouse. An HDMI cable plugged into “J1C1 HDMI1” on the target which is connected to an external Display. An Ethernet cable plugged into the J1D1 on board Ethernet port. Put Jetson TK1 into “recovery mode” by holding down the RECOVERY button while pressing and releasing the RESET button once on the main board. 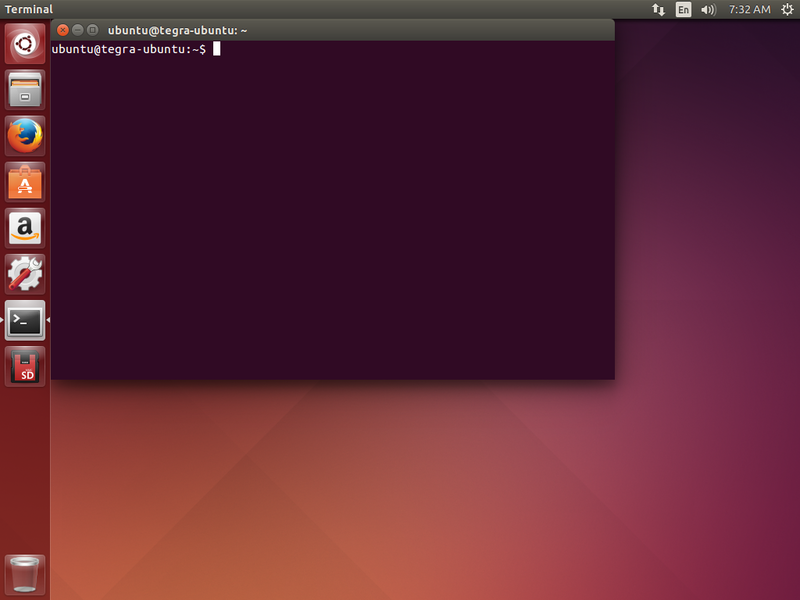 You can use lsusb to check whether Jetson TK1 is connected to your Linux host. Bus 001 Device … … NVidia Corp.